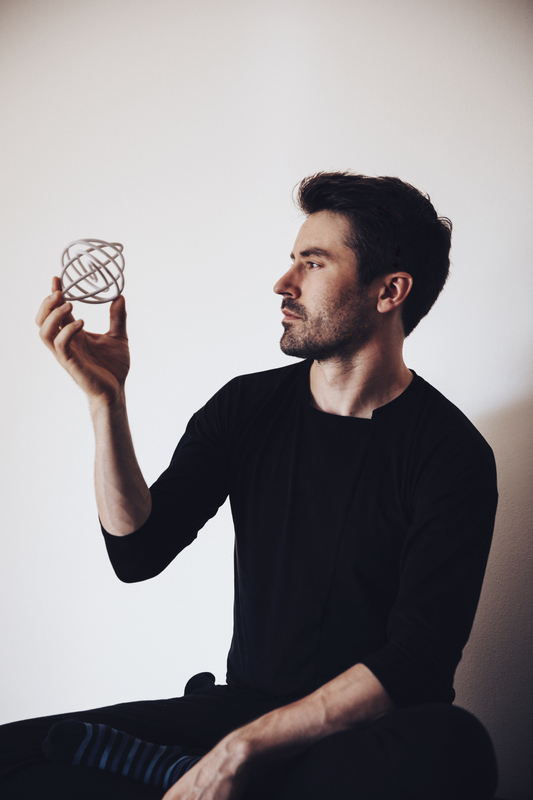 In an age of unprecedented technological advancement, Dan Tepfer is changing the definition of what a musical instrument can be. Featured in an NPR documentary viewed by 1.5 million people, Dan Tepfer shows his pioneering skill in this concert by programming a Yamaha Disklavier to respond in real time to the music he improvises at the piano while another computer program turns the music into stunning animated visual art projected on the wall of National Sawdust’s “intimate, otherworldly space” (New Yorker). The Natural Machines performance lives at an utterly unique intersection of mechanical and organic processes, making it “more than a solo piano album . . . a multimedia piece of contemporary art so well made in its process and components and expressed by such a thoughtful, talented, evocative pianist . . . |that it becomes| a complete experience” (NextBop). Don’t miss your chance to experience musical history in the making! Dan Tepfer has made a name for himself as a pianist-composer of wide-ranging ambition, individuality, and drive — “a remarkable musician” in the words of the Washington Post, and one “who refuses to set himself limits” in those of France’s Télérama. The New York City–based Tepfer, born in 1982 in Paris to American parents, has performed with some of the leading lights in jazz, including extensive performances with veteran saxophone luminary Lee Konitz. As a band leader, Tepfer has crafted a discography already striking for its breadth and depth, ranging from probing solo improvisation and intimate duets to richly layered trio albums of original compositions. His Sunnyside/Naïve album Goldberg Variations/Variations saw the prize-winning pianist performing JS Bach’s masterpiece as well as improvising upon it to “build a bridge across centuries and genres” (Wall Street Journal) in “an impressive feat that keeps coming back to a hearty and abiding respect” (New York Times). As a composer, he is a recipient of the Charles Ives Fellowship from the American Academy of Arts and Letters for works including his concerto for piano and winds (premiered in the Prague Castle with Tepfer himself on piano) and Solo Blues for violin and piano (premiered at Carnegie Hall). Bringing together his undergraduate studies in astrophysics with his passion for music, his project Natural Machines integrates computer-driven algorithms with his improvisational approach. Awards include first prize and audience prize at the Montreux Jazz Festival Solo Piano Competition, first prize at the East Coast Jazz Festival Competition, and the Cole Porter Fellowship from the American Pianists Association.